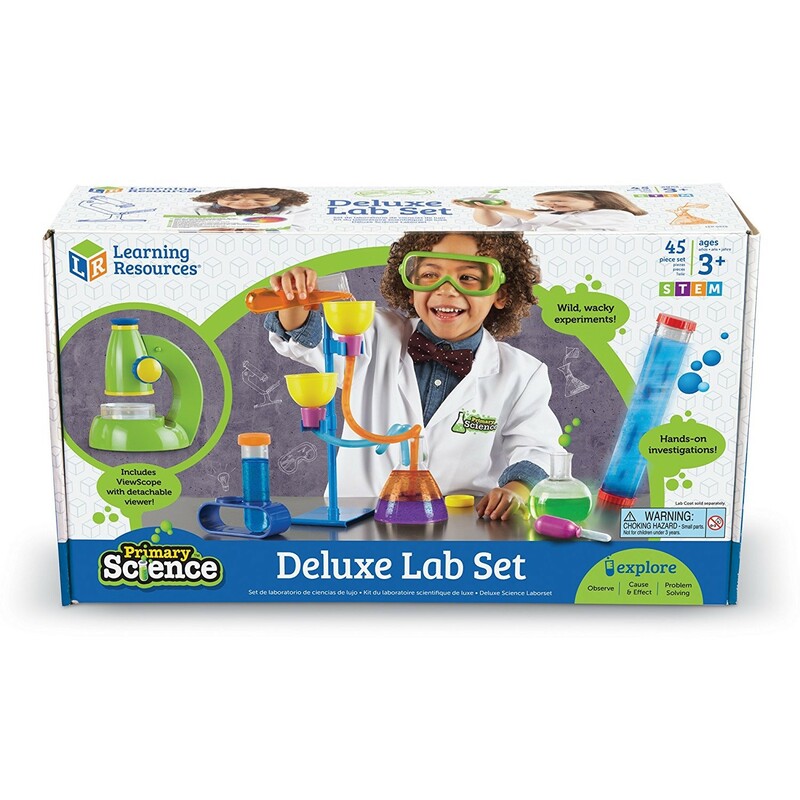 Combine fun and science as you make first discoveries in chemistry, biology and physics playing with this Deluxe Lab Set for beginners! 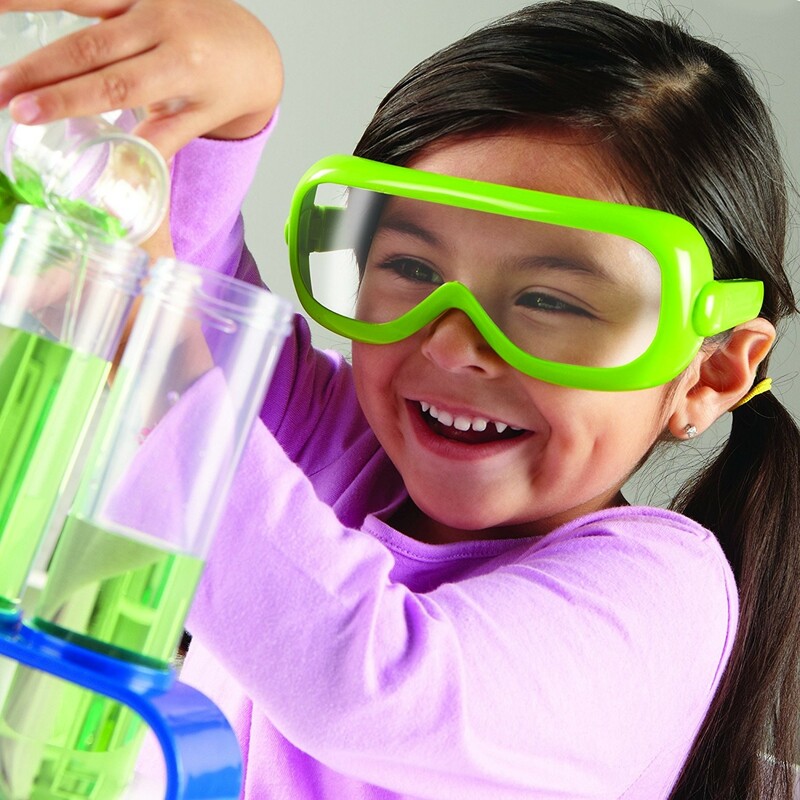 Become a young scientist, experiment, discover, be amazed! 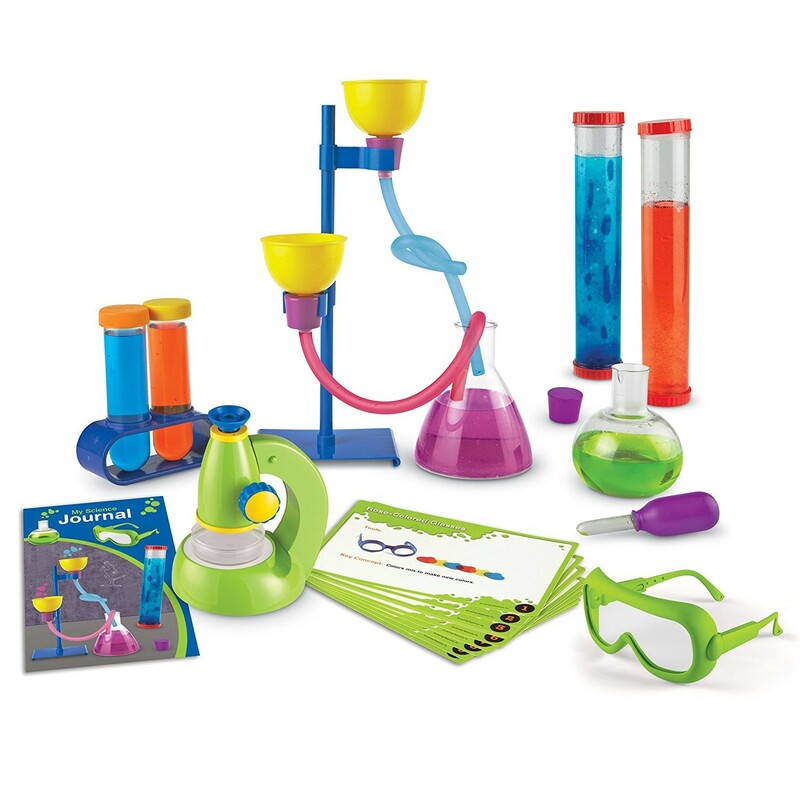 The award-winning Learning Resources company combined their bestselling Primary Science kits for preschoolers and came up with this all-in-one cool experimental lab kit. 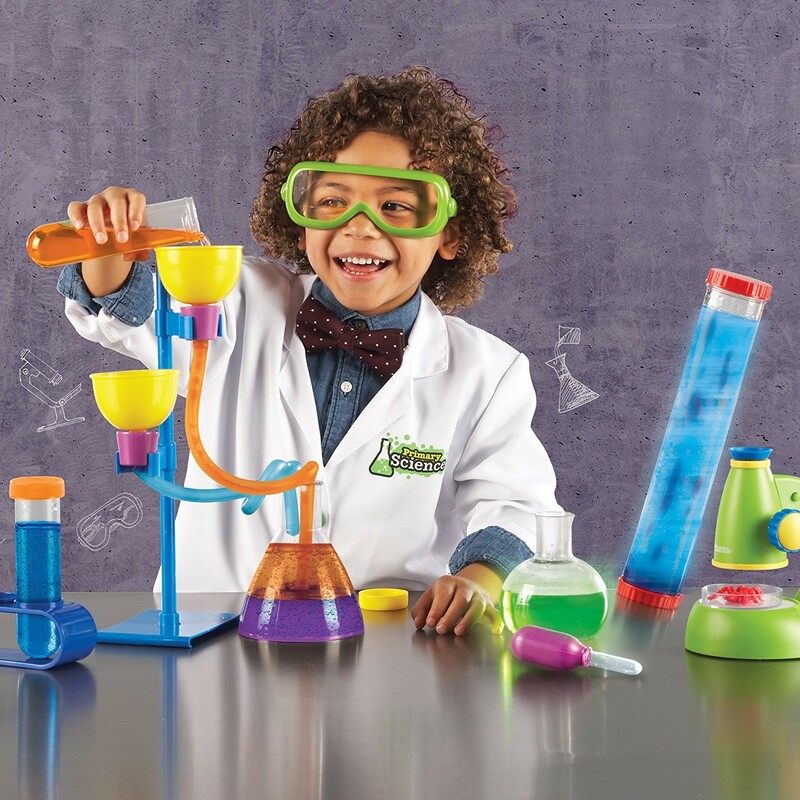 This science toy is a perfect introduction of chemistry, biology, energy, and other science fields to the youngest Einsteins. 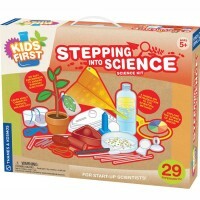 Children will follow the enclosed simple step-by-step instructions to experiment with solutions, textures, colors, and more. 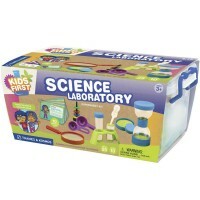 This Educational Toys Planet's lab kit features ViewScope, your child's first 20x microscope, designed specifically for thepreschool scientists. 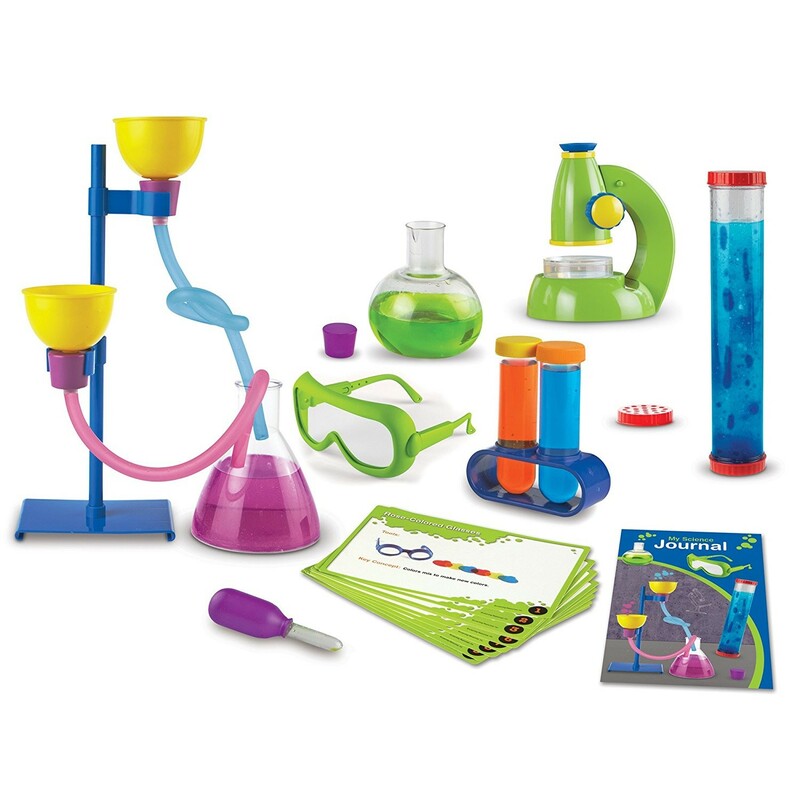 Primary Science Deluxe Lab Set comes complete with 45 pieces including 2 large test tubes with stand, eyedropper, 2 funnels 2 flasks (one round- and one flat-bottomed), kids safety glasses, tabletop experiment stand with holding clips, 2 connector tubes, 3 stoppers, Sensory Tube with lids, ViewScope with viewing case, write-on & wipe-off experiment journal, and 20 double-sided science activity cards. 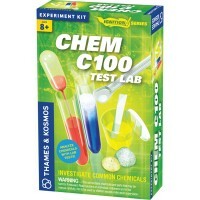 Ready, set, experiment! 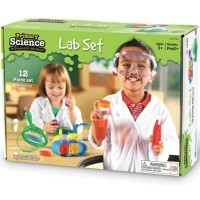 Dimensions of package 10.2" x 17.28" x 5.51"
Write your own review of Primary Science Deluxe Lab Set. 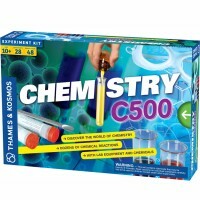 Rating: 5 Great for STEM or just playing! 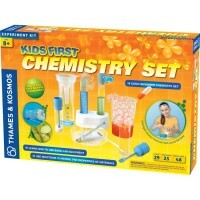 by By A customer Bought this with a kid's lab coat for my 6 year old. 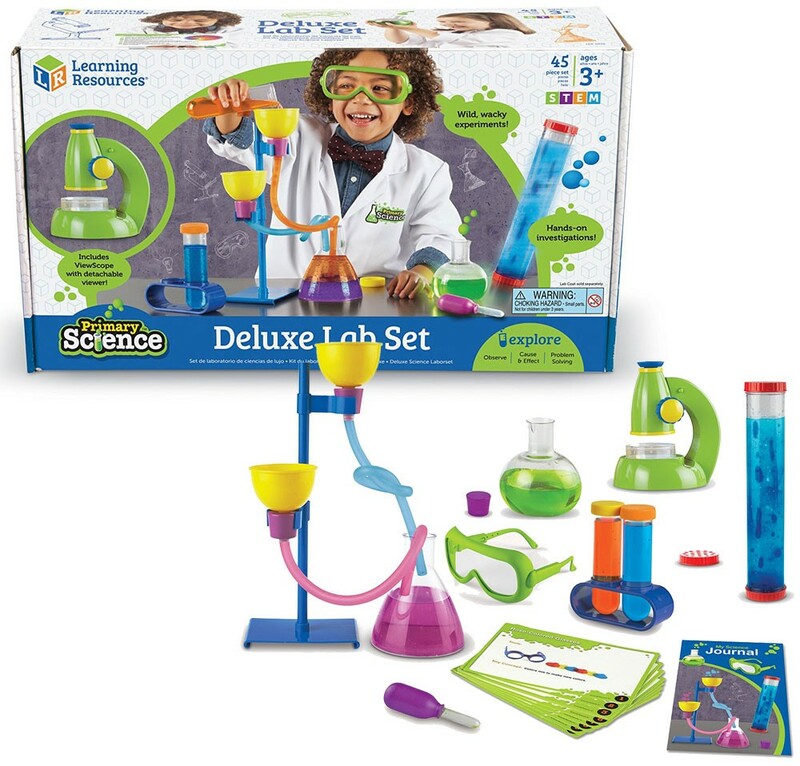 I bought it more for the purpose of her being able to play with it as a pretend toy, but realized that it came with lots of simple science experiments that we could do as a family, as well as a science journal. 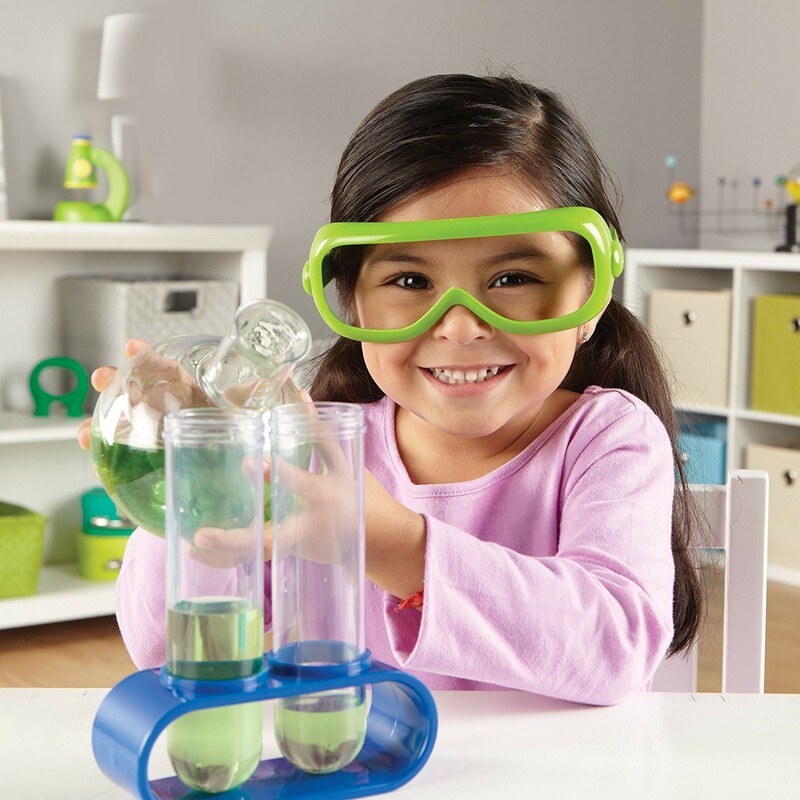 She does play with it in a pretend way sometimes, but she loves doing the actual experiments. A great gift in my opinion! Rating: 4 Super fun but funnel stand needs a clamp by By A customer It was a fun set. 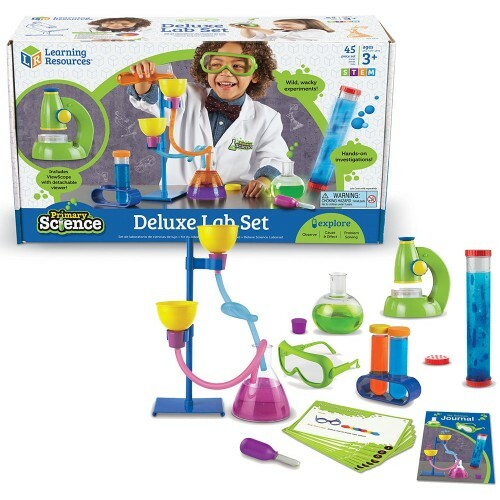 My 4 year old daughter was very excited about the dxperiments. 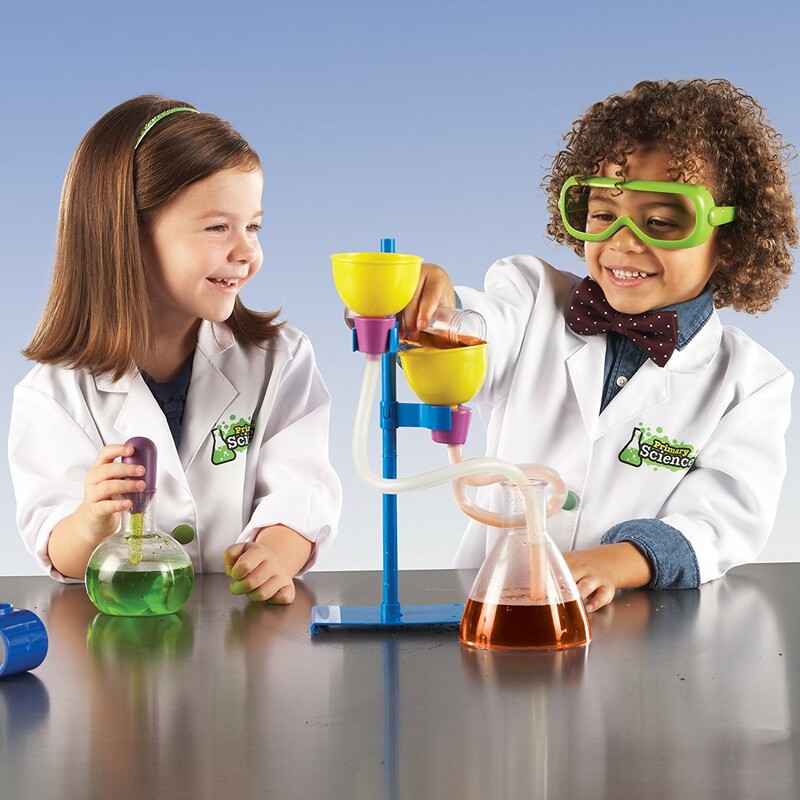 She couldn’t control the flow of liquid through the funnel and tubing and so we modified some experiments on the fly, using the pipette instead in some cases. She said I was a genius when we turned yellow water green. 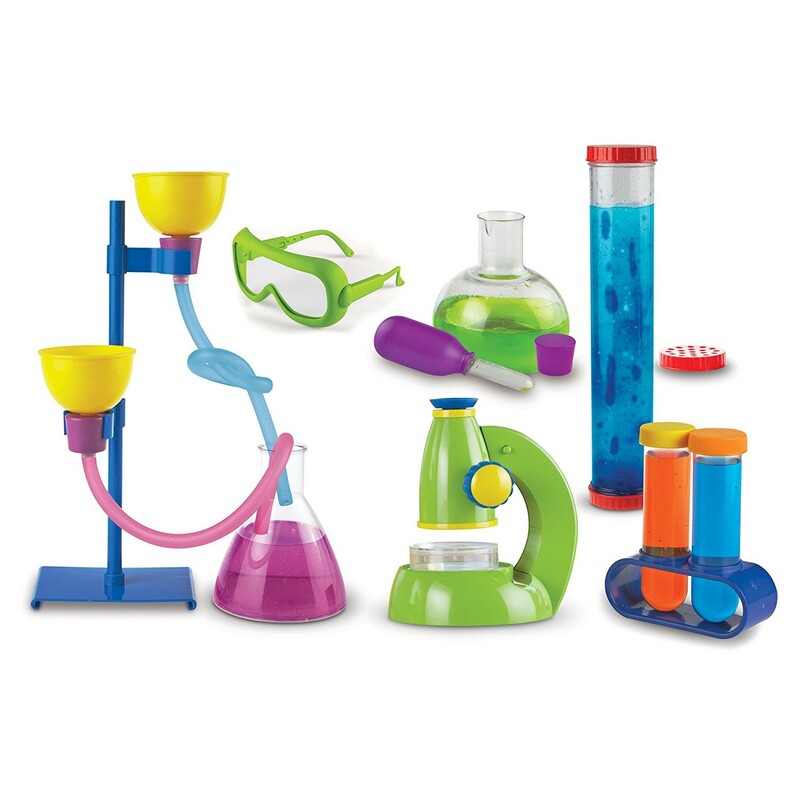 I can’t give it a five star as the blue stand is not heavy enough to keep the funnel and tubing still. It would be great I’d it has a clamp to secure it to the table. 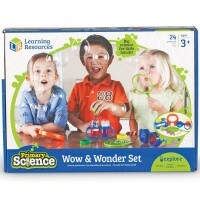 Rating: 5 Perfect intro to science by By A customer My son loved this set. It’s a little tricky getting the funnels and tubes set up so that the breakers don’t tip over. Because they are plastic they fall over easily. The microscope really works to magnify items a little bit so that was a nice surprise. 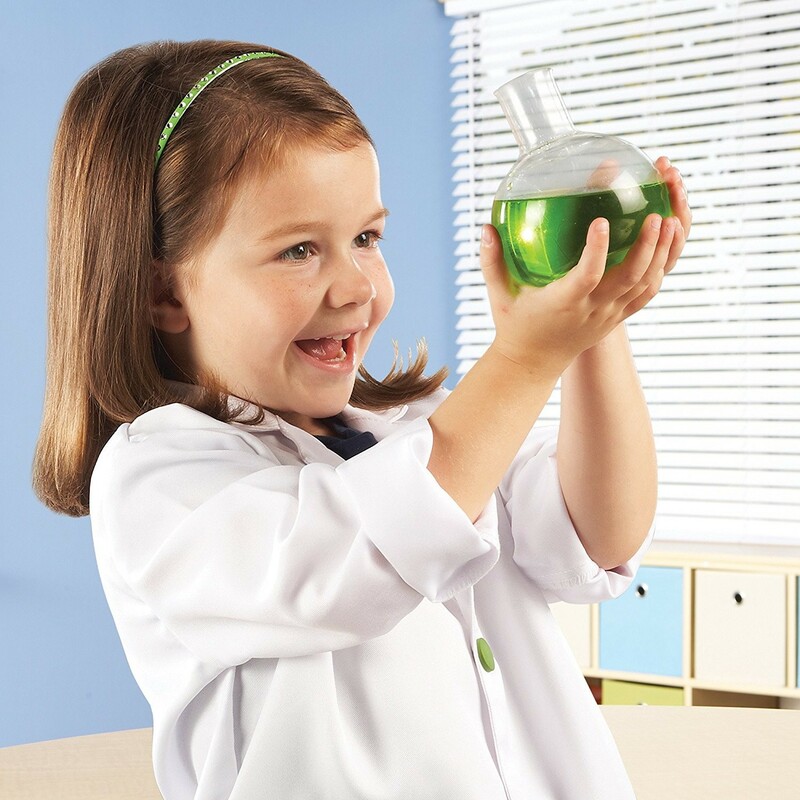 We also purchased the lab coat to complete the set. 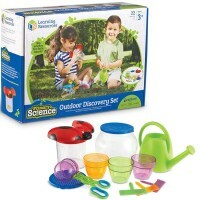 Rating: 5 Awesome and fun by By A customer my 4.5 year old loves this set! 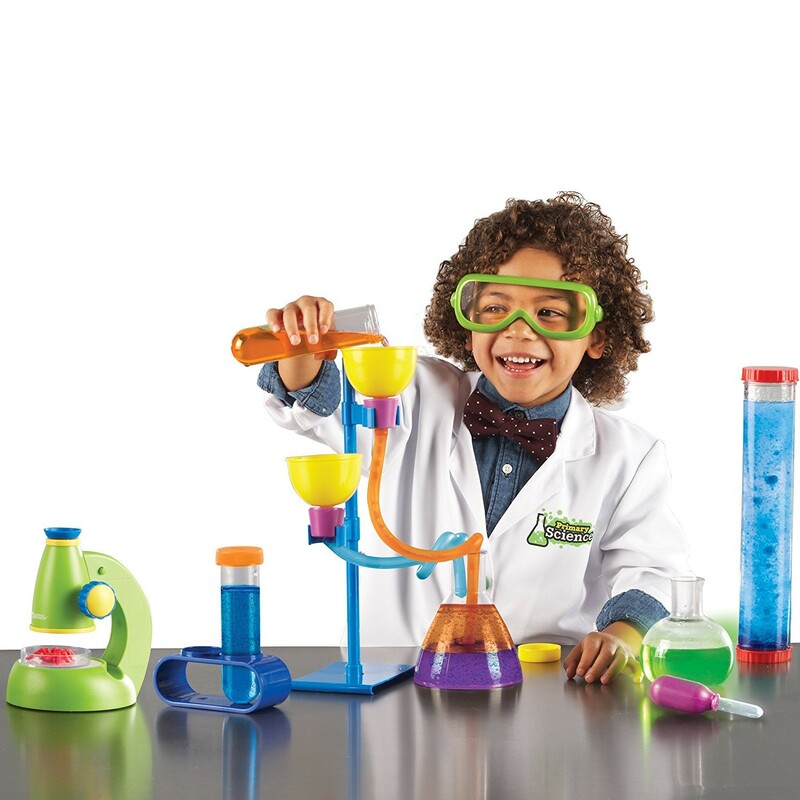 He was doing "experiments" of his own accord until I got this lab set. 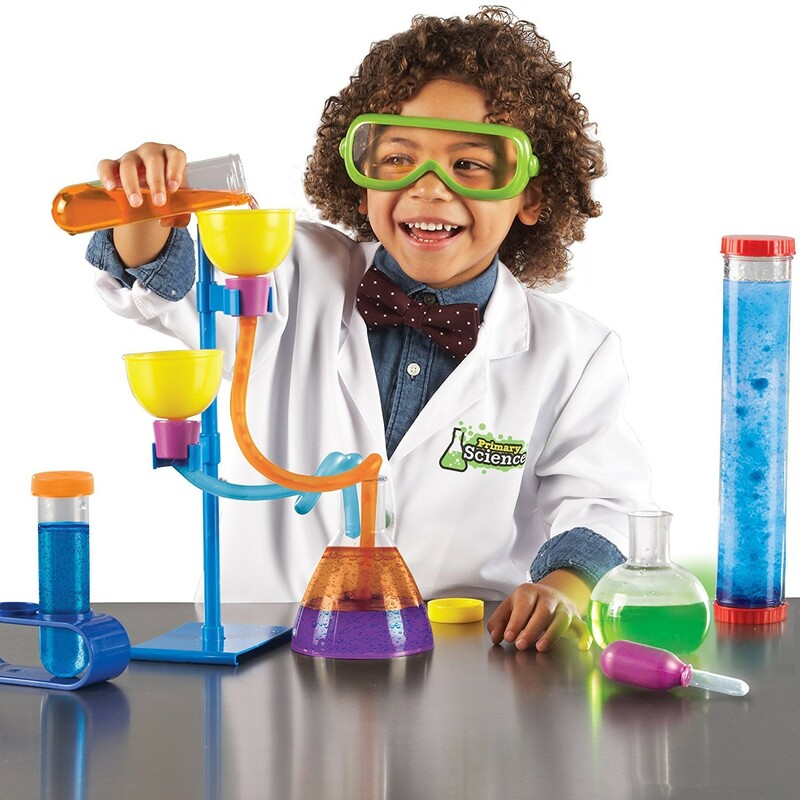 Now instead of mixing my lotions and soaps he is mixing food coloring water and learning about carbon dioxide. Highly recommend! Rating: 1 Flimsy and not for little kids by Jaimie This product is incredibly flimsy. 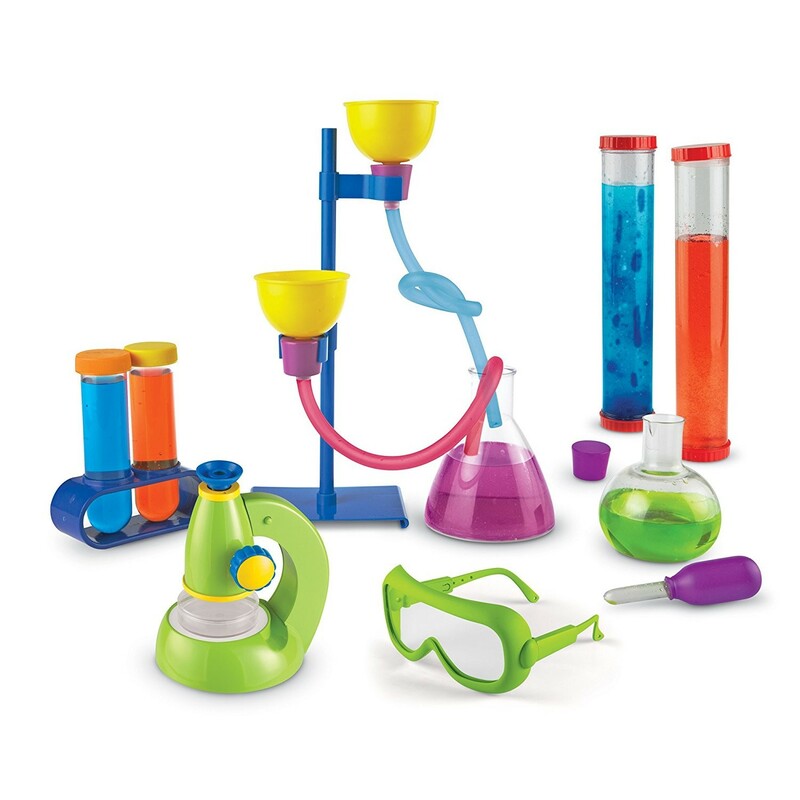 None of the plastic containers can stand up on a table on their own if connected to the tubing. 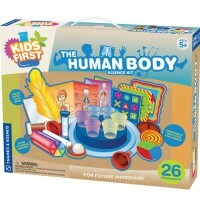 The experiments all require adult explanation and extra ingredients so there are no real activities a young child can do. 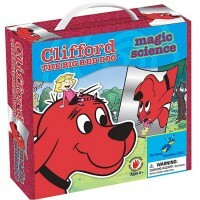 Rating: 5 great for kids by By A customer My 6 year old is in love with this! works amazing and endless amount of fun!